With top-rated hospitals that specialize in areas such as cardiac care, cancer treatment and orthopedic surgery, Macomb boasts world-class health care. Being in Macomb means not having to worry if your health is in the right hands. 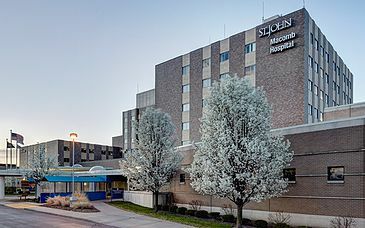 McLaren Macomb is a 288-bed acute care hospital located in Mount Clemens, Michigan.  With more than 2,000 employees, McLaren Macomb is one of Macomb County's top employers. The hospital also has more than 420 affiliated physicians. McLaren Macomb provides a full range of services including cancer and cardiovascular care. The hospital operates one of the busiest emergency departments in area. McLaren Macomb also has top-notch surgical services using state-of-the-art technology. St. John Macomb Hospital and St. John Oakland Hospital merged in 2007, and today we're St. John Macomb-Oakland Hospital - one hospital, two campuses, 535 beds, 3,436 nurses and associates, 600 volunteers, 195 residents and more than 1,200 physicians in over 45 specialties. 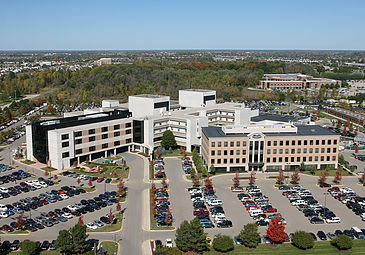 Connected by skywalk to Beaumont Hospital Troy, the Beaumont Medical Center in Sterling Heights is part of the hospital campus offering a 418-bed community hospital with full inpatient and outpatient services. In addition, the Professional Office Building houses physicians' private practices and other hospital services. This medical center consists of three buildings. While the Rehabilitation and Dialysis Center has been there for many years, the new, larger structure contains the Family Medicine Center/ Outpatient Services and the Physician Office Building and Cancer Center. The 349-bed Henry Ford Macomb Hospital--Clinton Township is one of only 33 hospitals recognized nationwide for quality care with the prestigious Leapfrog Group 2008 Top Hospital Award. Also in 2008, its Heart and Vascular Institute earned designation as a national Top 100 Cardiovascular Hospital for the second consecutive year. 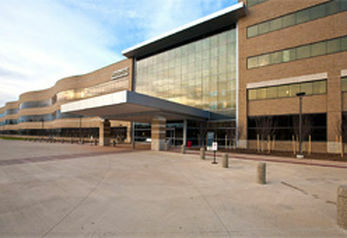 Other specialties include a cancer center that is fully aligned with the Josephine Ford Cancer Center, birthing center with 18 labor, delivery, recovery and post-partum suites, 42-bed inpatient rehabilitation program, ambulatory surgery, and two new robotic surgery systems that allow surgeons to provide the most advanced cardiac, gynecologic, prostate and thoracic procedures. Henry Ford Macomb's Mt. Clemens campus is home to the area's most comprehensive behavioral medicine program, including emergency psychiatric evaluation available 24/7, acute inpatient psychiatric care, and a partial hospitalization program. The campus also provides the county's only inpatient geriatric psychiatry program, a specialized unit that serves the unique needs of patients over the age of 59. Services are provided in a soothing environment in a large, historical building near downtown Mt. Clemens.